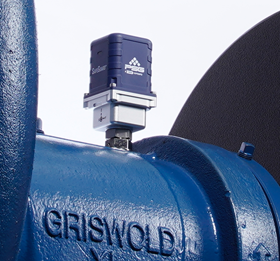 Griswold's SafeGuard is designed to monitor all types of centrifugal pumps. Griswold, part of PSG, a Dover company, has introduced SafeGuard, a diagnostic tool which features wireless access and 24-hour proactive alerts for the user. Current diagnostic technologies often provide a warning signal without details about the root cause or clear guidance on a resolution. In addition, most only monitor the health of the pump, not the motor. The SafeGuard preventative maintenance tool remotely monitors both the pump and the motor 24 hours a day with continuous cloud connectivity. If an issue occurs, a proactive alert is automatically generated, including clear actionable guidance for a resolution. The company says this proactive approach to pump monitoring can help lower maintenance costs by up to 30% and result in up to 75% fewer breakdowns.